Come Make Memories With Us! Henderson is proud to host the only folk life festival in East Texas. 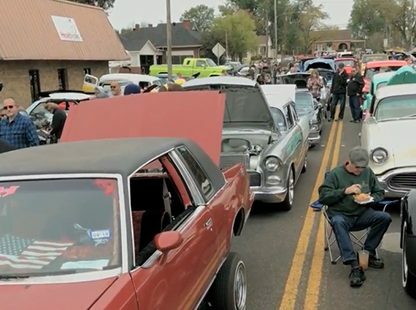 The Heritage Syrup Festival is always celebrated the second Saturday in November from 9am-5pm. Shop our local farmers’ selection of home-grown and homemade fruits, vegetables, meats, cheeses, and prepared foods and beverages. Stroll though our brick streets and browse boutiques, clothing, furniture, flowers, and antiques. Enjoy a lunch at one of our downtown dining establishments. Henderson is proud to host the only folk life festival in East Texas. 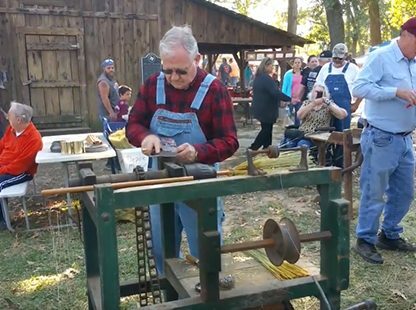 The Heritage Syrup Festival is always celebrated the second Saturday in November from 9am-5pm. 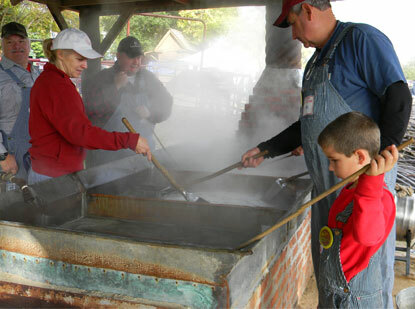 Beginning in November 1989, this unique fall festival is centered around the making of sugarcane syrup. The 7 acre grounds of the Depot Museum and the 10 blocks in the National Register Historic Downtown District are the locations of this event. A bustling center of activity featuring old time syrup making with mule power, craftsmen and folk artist as well as outstanding food vendors, retail vendors, musical entertainment, children’s activities, antique tractors, antique & classic cars, cloggers and square dancers complete this fun filled day. A hayride shuttle sponsored by the Rusk County 4-H Club transports visitors between the Depot and downtown. 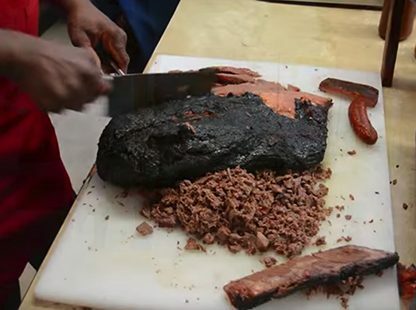 Approximately 25,000 people from Texas and neighboring states attend the festival each year. 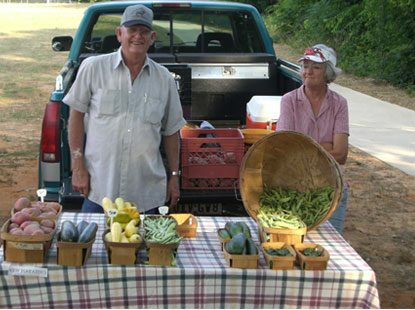 The Rusk County Farmers’ Market offers fresh and locally grown produce, herbs, fruits and flowers as well as unique crafts to those who live in Rusk and surrounding counties. Click HERE for more info. 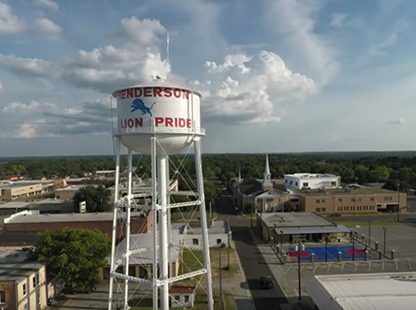 Welcome to Henderson, Texas located in the heart of the Piney Woods of East Texas. Step back in time where history comes alive. Henderson is named after the first Governor of our State, James Pinckney Henderson. 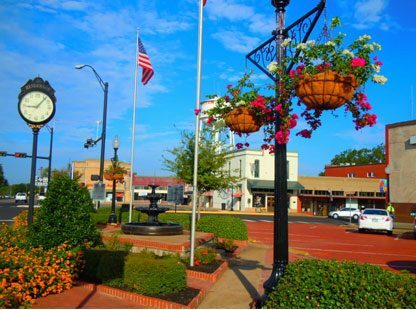 Our National Register Historic District has the most picturesque downtown square in East Texas. 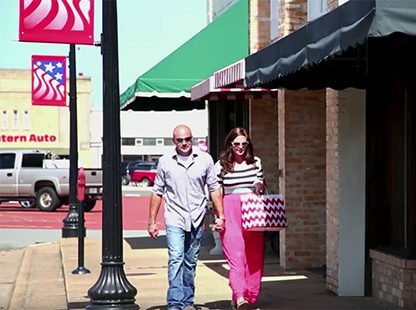 Here you will find upscale shopping, antiques, eateries, specialty coffee and the Rusk County Library which offers genealogy assistance and also has a computer gallery. Vist the Depot Museum at 514 N. High St. just a few blocks from downtown. The museum is settled on 5 acres with 11 restored historic buildings, the fanciest outhouse in Texas, and the newly restored cotton gin. Also visit the Historic Howard Dickinson House. Home is located in downtown. Opened by appointment only. Call the Henderson Chamber of Commerce 903-657-5528 for appointment or you may leave a voice message @ 903-657-6925 at the Howard House. Experience the southern charm and hospitality of our small quaint town. Come spend the night in one of our comfortable hotels. Henderson is a Texas Main Street City and a National Main Street City. 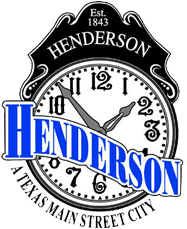 Take a Look at What Henderson Has to Offer Our Visitors! Here is just a taste of what Henderson has to offer. Check out these videos taken around our historic town. © 2018, VISIT HENDERSON TEXAS. ALL RIGHTS RESERVED. SITE DESIGNED BY ROUTE2 ADVERTISING AGENCY.